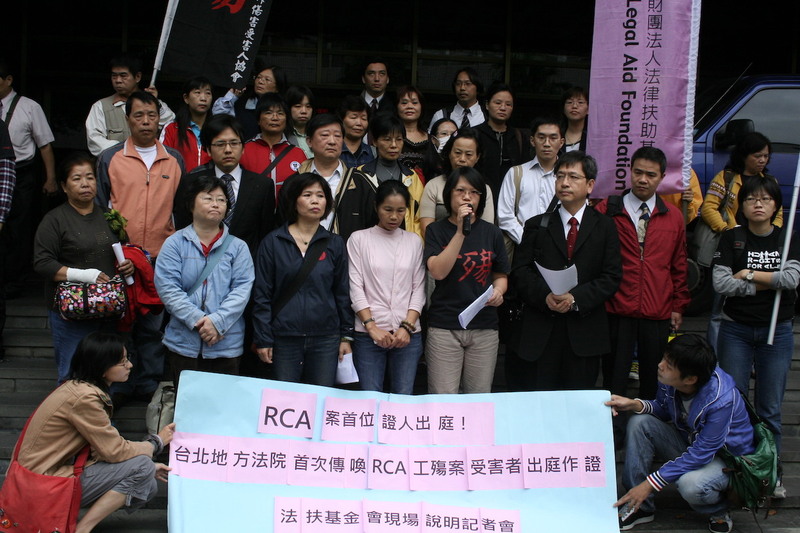 The RCA Labor Struggle And Its Legal Challenges: A Labor Case “Made In Taiwan”? 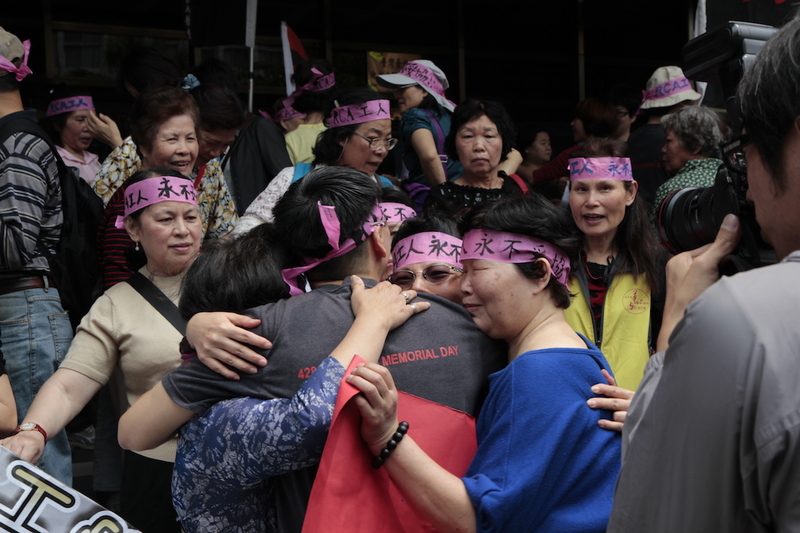 WITH AN UPCOMING court ruling by Taiwan’s High Court regarding the historic RCA case, a landmark case in Taiwanese labor, it remains to be seen if the decades-long struggle of RCA workers for justice will soon come to an end. 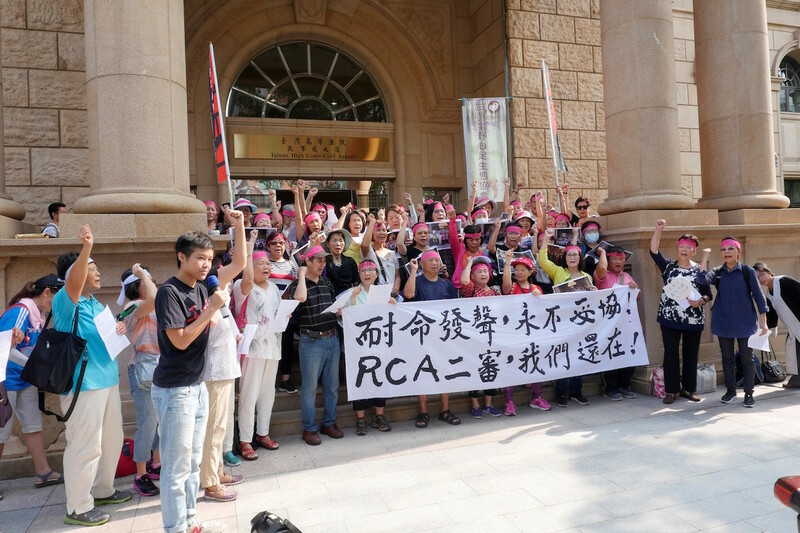 The Taipei District Court ruled in favor of RCA workers in 2015, but RCA appealed to the Taiwan High Court. A decision regarding this second hearing will be revealed on October 27th, stating whether the 529 RCA workers in the litigation will receive compensation for injuries, diseases, and death suffered due to industrial pollution. 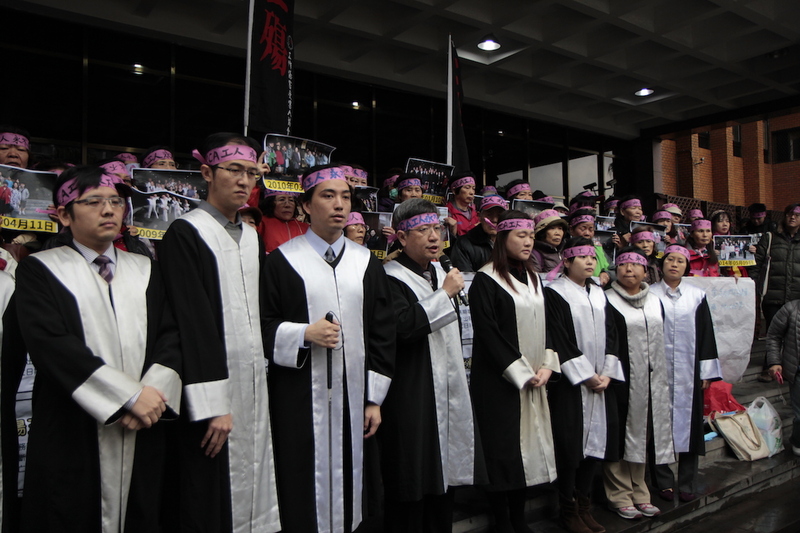 Either way, the case will be a historic one for Taiwanese labor, as well as Taiwanese legal history. There are very few legal precedents in Taiwan for class action lawsuits involving hundreds of plaintiffs, in which the decision was made to pursue a class action lawsuit in which workers would divide the settlement among themselves rather than individual settlements due to the large number of plaintiffs. The case may well be the first class action lawsuit in Taiwan. 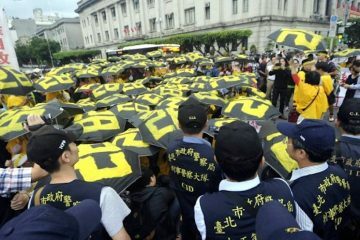 And there are few other labor cases in Taiwan which have received as much public attention as the RCA case, likely due to the fact that it is a case that has gone on for decades and one which involved wrongdoing by a high-profile corporation of American origin during the time of Taiwan’s economic miracle. So the results of the RCA case may have large implications in the future for workers seeking compensation against their employers for work-related injuries in the future. The implications of the case will resonate widely in the history of Taiwanese labor struggles and Taiwanese jurisprudence. The RCA Case: A Product of Globalization During the Era of “Made In Taiwan”? IT MAY BE that the RCA case is not exceptional, in light of that similar cases have taken place worldwide under conditions of globalization, and the use of cheap labor in third world countries to conduct hazardous forms of labor by first world countries. In this way, the case attests to the dark side of the Taiwanese economic miracle, in which a blind eye was turned to labor abuses in the name of developmentalism. RCA employed thousands of workers in Taiwan between 1970 and 1992, through a Taiwanese subsidiary of the American company, the Radio Corporation of America. During the era of the Taiwanese economic miracle and the heyday of Taiwanese manufacturing, RCA coming to Taiwan and creating thousands of job opportunities in Taiwan was seen as a symbol of modernity, progress, and economic development in the age when the label of “Made In Taiwan” was still commonly seen on manufactured goods. In Taiwan and elsewhere, RCA manufactured television components, motherboards, and other electronic products. Workers also welcomed RCA jobs as offering higher pay, and better benefits than other companies. Yet in the end, the price RCA workers paid was permanent damage to their health. 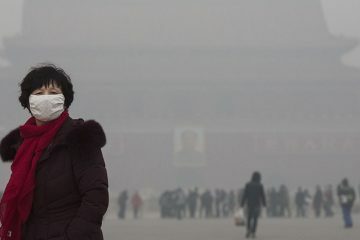 Apart from 78 deaths caused by the pollution, 237 of the 529 workers developed cancer or related illnesses. In particular, the RCA plant employed many female workers because the characteristics of Asian, female workers, such as their small hands and carefulness was seen as suitable for the production of sensitive electronic parts. Since then, many female workers have suffered breast cancer and miscarriages. Depending on how one counts the differences between diseases, RCA workers suffer from 31 to 38 different diseases. Furthermore, it oftentimes took decades for symptoms to develop. As such, RCA workers did not immediately draw the dots to realize that the diseases they suffered from likely were caused by pollution from RCA. Afterwards, RCA workers sometimes recalled signs beforehand that management may have known about the pollution, such as the fact that members of management never seemed to drink water from the RCA factory, but drank from plastic water bottles. But the fact that so much time had elapsed since when they worked in the RCA factory would end up being used against them in courts by RCA lawyers. INDUSTRIAL WORKERS’ health and environmental pollution cases usually have their inherent legal challenges on both procedural and substantive issues, such as the statute of limitation, standing to sue, causation of damage, access to necessary documents, burden of proof, damage assessment, expert witnesses, or “piercing the corporate veil”. Unfortunately, RCA workers had to face and overcome all of the hurdles and difficulties. One vivid example is that it is sometimes hard to find the right defendants to sue. It may sound quite strange, but after a series of acquisitions and shell companies, it has sometimes proven that even to track down the legally responsible parties in the course of the case in order to deliver court notices becomes a very difficult mission for the plaintiffs. And this was employed as a strategy by RCA in order to feign ignorance of the court proceedings. In 1987, RCA was absorbed by the General Electric Company (“GE”), another American company, and in 1988, the GE sold its consumer electronics department to the Thomas Consumer Electronic (“Thomas”), a French company, which later changed its name to Technicolor. In the early stages of the case around 1990s to 2000s, RCA and its owner companies sometimes pretended that court notices had not been properly delivered to its offices, claiming that its addresses had changed even when local authorities had delivered court notices to their registered offices. Before the rise of the Internet, it was not so easily to find the relevant information to prove that RCA or its owner companies were pretending that court notices had not been delivered to owner companies in America or France, and unravelling the complex network of the relation. Some also suspect that the reason why RCA Taiwan continues to exist and was not shut down entirely was in order to prevent legal charges against RCA from reaching the mother company in America. But thanks to the development of the Internet, it became easier to track down such information. As such, RCA sometimes claimed it was not aware of legal notices, in part because of the transfer of ownership of RCA between so many companies. This was blatantly false, seeing as RCA used the same law firms and lawyers throughout different management periods of RCA. In addition, according to the record of the insurance claim filed by Thomson to its liability insurance company, RCA spent over 210 million NTD in three years on the case, despite feigning ignorance at times and not actually showing up in court during this period. As for existing of the harms from the pollution, RCA sometimes claimed that it had not realized the health risks of pollution by the plant. However, environmental assessments conducted by RCA in the 1980s attest that the company was aware of the possibility of health risks caused by industrial pollution from the plant. RCA chose to take no action at the time, and to feign unawareness later on. Notably, more than three environmental assessments were conducted by RCA, not using Taiwanese experts, but experts flown in from America. These assessments were also conducted by RCA’s mother company, not the Taiwanese subsidiary, indicating the mother company was aware of the presence of environmental pollution. And, again, RCA workers also recall that they observed that in RCA’s main factory in Taoyuan, factory managers always drank bottled water and not water from the plant, suggesting that the Taiwanese management was aware of the health risks of industrial pollution from the plant. Furthermore, given its substantial resources, in hiring five law firms, including the largest law firm in Taiwan and two in the US, RCA could mobilize an army of expensive lawyers. RCA was also able to fly expert witnesses from Harvard and Johns Hopkins to defend against charges, at great cost, and also drew on expert witnesses from a number of countries. RCA has sometimes attempted to make partial or biased claims about American law or other international law in the course of the case. KNOWING THE huge disparity in resources between themselves and RCA, RCA workers have set up a self-self-organized group, the RCA Worker Self-Help Organization, and have received the aid of pro bono labor lawyers from the Legal Aid Foundation, a government-funded NGO who provides free legal services to qualified applicants. Although the RCA case actually predates the formation of the Legal Aid Foundation, the participation of pro bono lawyers brought the first changes to the case. Likewise, health experts like medical doctors and public health scholars had noticed the pollution and engaged in the case earlier than the legal community. Given the complexities of demonstrating the effects of industrial pollution on health symptoms, collaboration with health experts was necessary in order to prove that the ailments suffered by RCA workers were directly caused by industrial pollution from RCA. For example, in similar cases, corporate lawyers could take the strategy of claiming that health symptoms such as cancer were caused by drinking or smoking by workers. While this strategy was tried in the RCA case by RCA’s corporate lawyers, it may have been fortunate that because a large number of the victims were female workers from a certain Taiwanese generation in which women smoking and drinking was taboo, and so this could not be used by RCA as a defense. As RCA workers suffered from upwards of thirty different ailments, a legal strategy adopted in order to incorporate a broader range of workers in the class action lawsuit rather than attempting to parse out the individual diseases suffered by the 500-plus workers was to claim that settlement was being sought for the mental anguish suffered by workers overall. As such, the case was one which necessitated close cooperation between activist lawyers and activist doctors. Medical experts have had to counter the medical information provided by corporate lawyers, some of which was misleading or outright wrong, even by the standards of freshman-level biology, or contained selective omissions, and to provide citation of that there is a high likelihood that the ailments suffered by RCA workers comes from pollution. EVEN WITH HELP from pro bono lawyers, doctors and scholars, the use of a class action lawsuit has sometimes proved difficult, due to the fact that it is not always easy to track down former RCA workers to secure their consent. In the case of RCA workers who had died, it was also an issue as to how to include their family in the settlement. Seeing as the class action lawsuit involves more than 500 individuals, it is also possible that some minor errors were made in the the recording of their information, which RCA may attempt to seize on in order to claim that the class action suit is frivolously and arbitrarily large. But in this respect, lawyers has been benefitted by the media attention paid to the case. Due to public attention, relevant government bureaus such as the Ministry of Labor, which possesses the RCA employee list from labor insurance records, the Ministry of Economic Affairs, which has RCA company records from the foreign investment register, and the Environment Protection Administration, which has assessment and investigation records, seem to have been more cooperative in providing needed documents or even sometimes lending necessary manpower for transcription. This may have been why the Taiwan High Court has allowed for hearings to be broadcast for viewership and allowed for use of largest courtrooms in the High Court building for hearings. At times, the case has been straining for both lawyers and workers, Workers do not always see immediate results from the case and may be required to sign paperwork or make court appearances for years on end with few results. Lawyers, then, have to also work to maintain the faith of workers despite that the volunteer lawyers working on the case have changed. 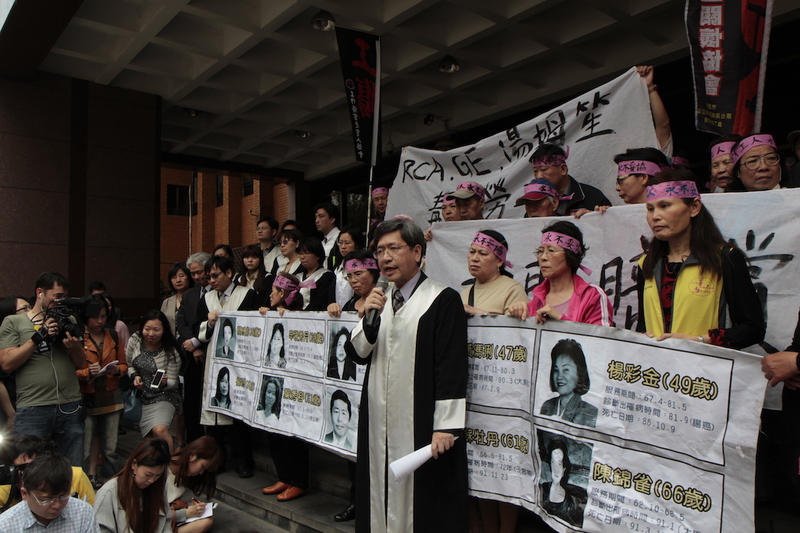 Internal splits have also occurred at times within the RCA workers’ self-help organization, which may have been one of the reasons why an attempt to pursue the case in America was aborted and the case returned to Taiwan, leading to the involvement of the Legal Aid Foundation. Indeed, the reason as to why the case has remained in Taiwan is because pursuing the case in international courts would be too expensive and the majority of the relevant documents are in Taiwan. 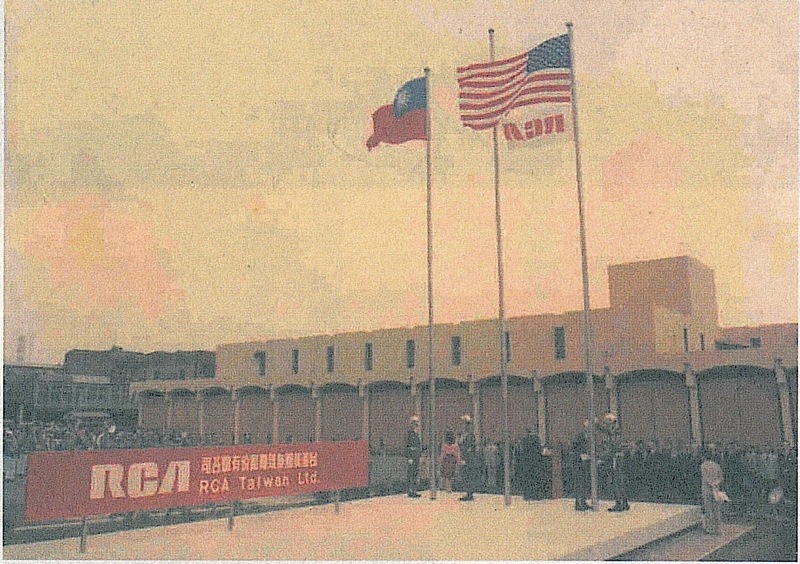 Consequently, the decision was made not just to pursue RCA Taiwan but also its mother company because it was feared that RCA Taiwan would not have enough resources to compensate workers in Taiwan and because the fact that the mother company was aware of the situation in Taiwan despite feigning ignorance indicates wrongdoing. Perhaps this points to the inherent difficulties of dealing with cases involving multinational corporations, then; a sign of the power that multinational corporations enjoy in international law. Multinational corporations cannot truly be pinned down to any specific country by virtue of their multinational nature, but they can leverage on the laws of different countries to their advantage. Moreover, as a multinational corporation, RCA could also use information asymmetry to its disposal, for example, taking steps to hide its corporate structure from lawyers. When lawyers asked for the contract between RCA and its owner companies to make it more clear, RCA claimed that this was a corporate secret and could not be publicly revealed, only sending the cover of the contract to prove that it did exist. And when necessary documents on the Taiwan side were requested by lawyers from the Legal Aid Foundation, sometimes RCA would respond that these documents had been destroyed in a fire. This was the case more than once, and this may have been no lie; as confirmed by the local government, there had indeed been fires that burned down buildings in which RCA documents were contained. But deliberate cases of arson for the sake of destroying legal evidence or to clear out properties for land redevelopment are not unheard of in Taiwan. What proves striking regarding RCA’s attempt to defend against settlement charges is, according the calculations of involved lawyers, that RCA’s resources are large enough that the total settlement would only comprise approximately one hour of GE’s global profits. Furthermore, the amount of resources devoted by RCA to combatting charges might be larger than the settlement would be. According to the insurance claim filed by Thomson, RCA spent over 21 million NTD in three years on the case, despite feigning ignorance and not actually showing up in court during this period. By contrast, the Legal Aid Foundation charged nothing for their help during the first hearing. Indeed, it seems likely that RCA’s attorney fees will equivalent to or higher than the compensation. But such spending on the part of RCA may in part be because large multinational companies such as RCA devote a great amount of resources to combatting legal cases which could set legal precedents which could be restraining of future activity by multinational corporations. This is in part by many multinational corporations attempt to seek out-of-court settlements with victims, rather than through legal settlements. Furthermore, as is famously known of the tobacco industry in the United States, corporations sometimes adopt the strategy of using procedural mechanisms to delay the litigation process, hoping that plaintiffs will die, tire, or simply run out of resources. They will only settle the case which they are going to lose, because “a case is never lost if it is never tried”. Conclusion: What Will The Implications Of The RCA Case Be? AS FOR THE ultimate results of the case, they remain to be seen. 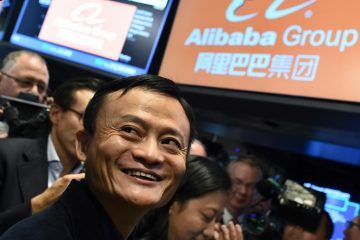 Ironically, for a case which involved the exploitation of workers in a third world country as cheap, disposable labor by a first world country, RCA has since gone to China, presumably to do much the same as it did in Taiwan. Although it may maintain offices in Taiwan still, it no longer conducts manufacturing in Taiwan. 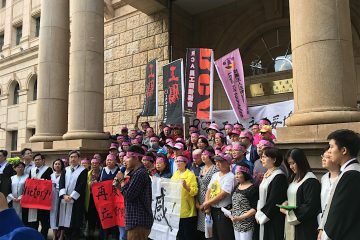 And even should the Taiwan High Court rule in favor of RCA workers, it remains that a second case regarding 1,000 workers who were also affected by pollution also need to be handled. Again, until the case became widely known in Taiwanese society, many workers did not realize that the symptoms they had developed were probably caused by industrial pollution from the RCA plant. Seeing as the court could not wait indefinitely for every suffering worker to join the case, it was impossible to add further workers to claimants beyond a certain, requiring 1,000 workers not included in the first case to be handled separately and refusing new participants. 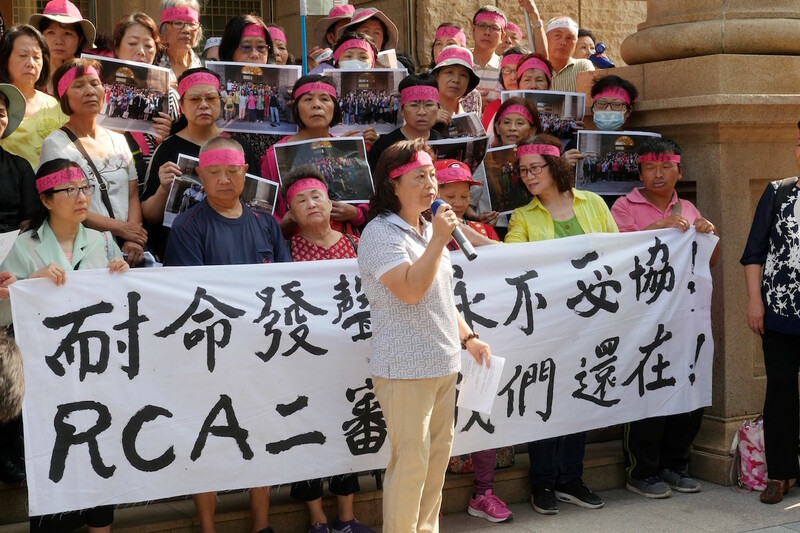 If the Taiwan High Court rules in favor of RCA workers, this will likely be beneficial to this second case, but it will be difficult to address the many questions of justice at stake here. The second case is now pending at the Taipei District and also supported by the Legal Aid Foundation. The case has dragged on so long in part because of continual changes in the responsible judge for the case. But no matter who wins the second case, the case is still appealable to the Supreme Court. And so we shall have to see if RCA workers find justice yet. The case has gone on long enough that at this point, many of those who started off as law students or medical students assisting their professors assisting on the case are now themselves lawyers and doctors. In this way, as paving the path for close cooperation between legal professionals, medical professionals, and workers, some have suggested that the ultimate results of the case will be in been that it has trained a new generation of activist lawyers and doctors in Taiwan. In the future, Taiwanese doctors are more knowledgeable about what kind of proof is needed for legal cases and lawyers are more knowledgeable about medical assessment for cases of wrongdoing by employers. However, whatever questions remain to be settled, it may also be that the RCA case is not unique, but simply one which has received broader attention and in which the right circumstances for close collaboration between legal and medical professionals happened to exist. 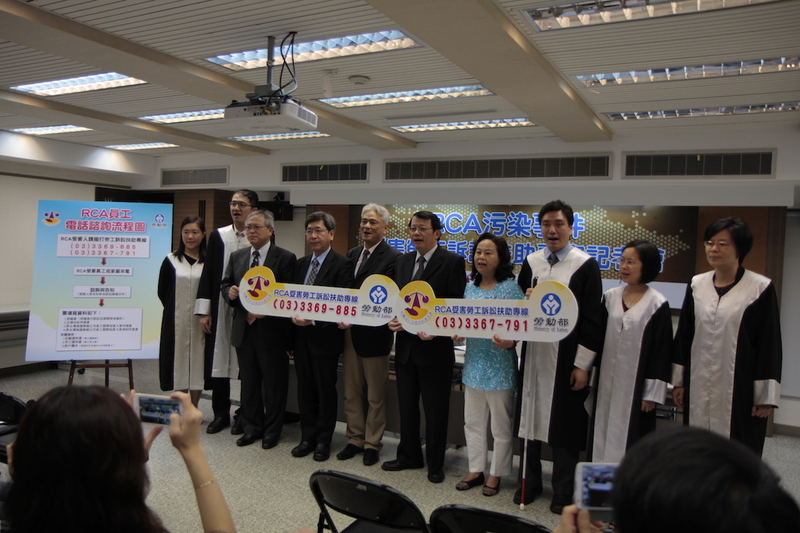 The RCA case benefitted from fact that the first legislator involved in the case later became minister of Taiwan Environmental Protection Administration, and the involvement of the Legal Aid Foundation and the National Taiwan University (“NTU”), Public Health Department from an early stage, with some involved lawyers’ participation actually predating the formation of the Legal Aid Foundation and the NTU Public Health Department studying and investigating the effects of the pollution, as well as providing necessary materials. The RCA case is probably not the first such case in Taiwan even, but simply the one which has received the most public attention. As long as conditions of globalization continue to exist, allowing for exploitation of the workers of weaker countries by powerful ones, and as long as a blind eye continues to be turned labor abuses in the name of economic development for such countries, whether in Taiwan or the world, such cases will continue to happen. And so what the ruling can do is draw a line in the sand for such issues, both for Taiwan and the world. The results of the ruling will be released on the October 27th. Brian Hioe was one of the founding editors of New Bloom. He is a freelance writer on social movements and politics, occasional translator, and currently a Democracy and Human Rights Service Fellow at the Taiwan Foundation for Democracy. A New York native and Taiwanese-American, he has an MA in East Asian Languages and Cultures from Columbia University and graduated from New York University with majors in History, East Asian Studies, and English Literature. Han-Hsi “Indy” Liu is S.J.D. candidate of the O’Neill Institute for National and Global Health Law at Georgetown University Law Center, focusing on global health and human rights. He is also licensed as attorney-at-law in Taiwan. 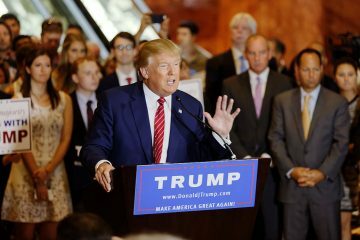 RCA Court Ruling A Victory For Workers, But What Now?